Our Friends in Nashville Need our Help NOW!! 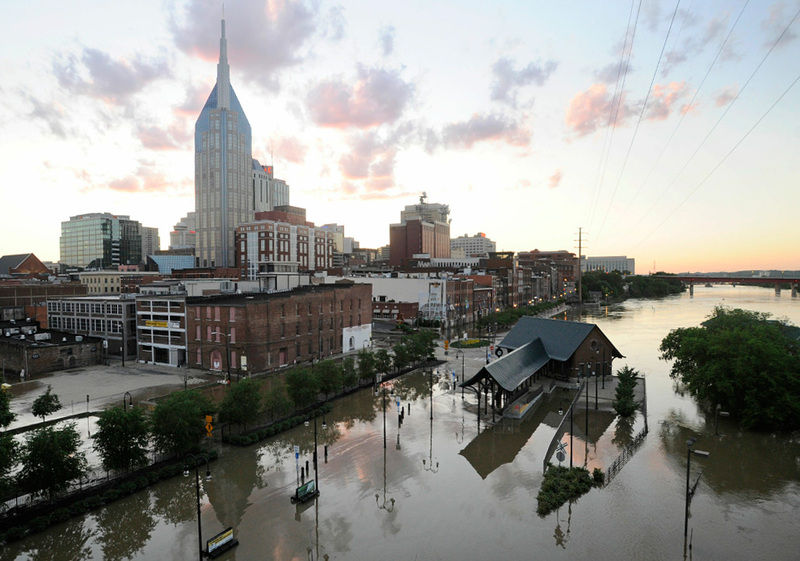 It was the 500 year flood in Nashville Tennessee this week. Water has literally plagued whole neighborhoods, along with this photo of downtown. I'm not sure why the national media hasn't picked up on this, but if you'd like to see some damage, Click Here for More Photos. If you'd like to help, the Red Cross has set up a number to donate funds. Just text REDCROSS to 90999 to donate $10 for disaster relief. If ever there was a need, now's the time. Take a second, text the REDCROSS like I just did, and let's help our friends in Tennessee as they try to re-build out of this AWFUL disaster. Previous To all 2010 Graduates and Families…check this out!! Thanks, Andy , for the info on the situation in Tennesee. Thanks for sharing this, man. I’m thinking of putting together some mission trips here in Nashville the summer. Let me know if you’re interested in putting together a group. It’d be fun to serve together (and actually meet in person).